So happy you came by today. 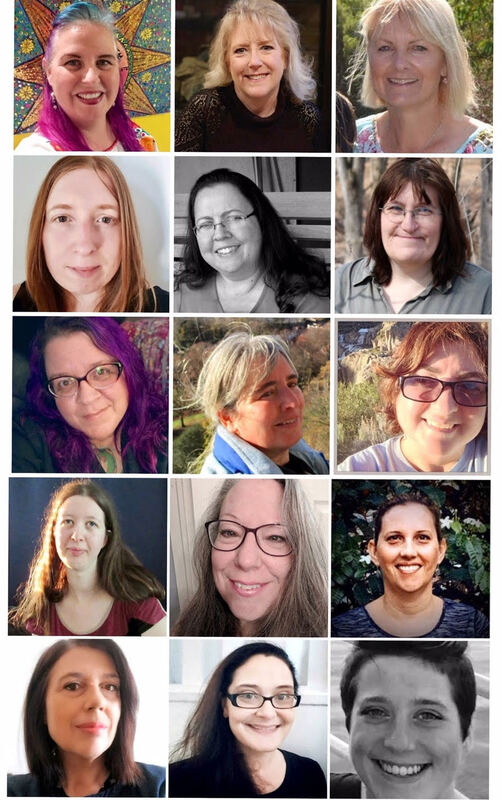 Today we have a special project to share. 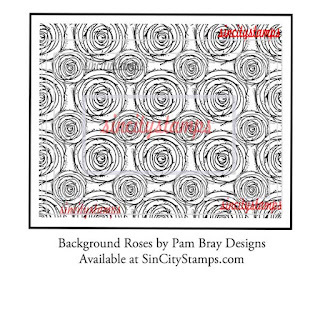 Last Monday, Sin City Stamps released some brand new red rubber stamps. 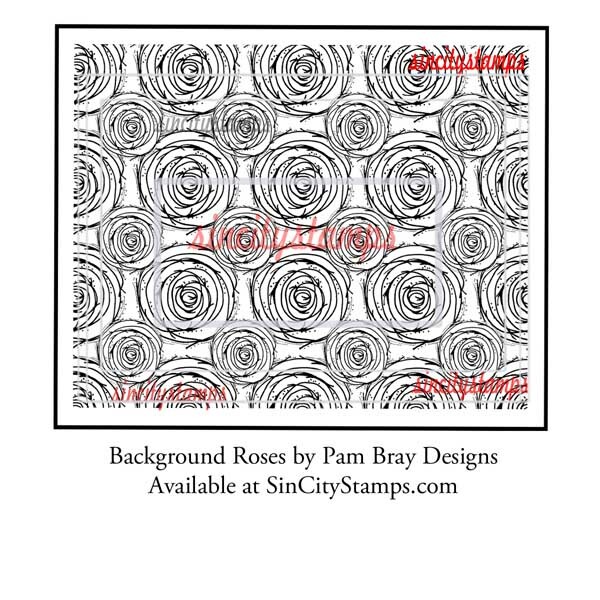 Two of the sheets were designed by Pam Bray. 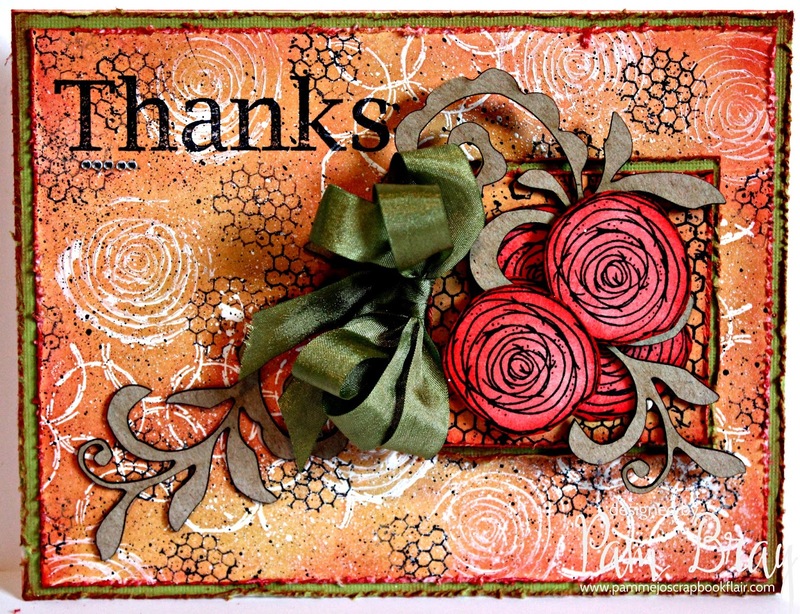 Today on our blog, she has an lovely, richly textured "Thanks" card crafted using her new stamps! 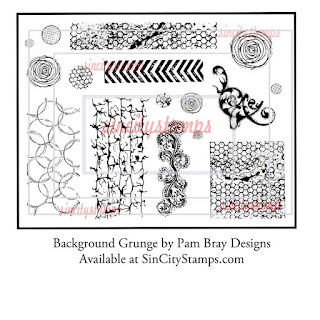 You still have one week to order these stamps at the introductory price, so don't wait too long! 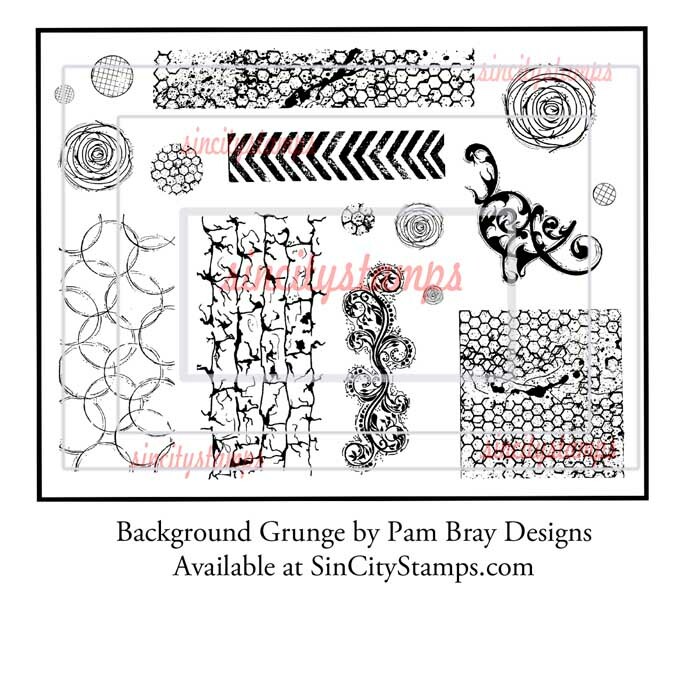 Background Grunge Full un-cut Un-mounted red rubber stamps, about 6"x 8".